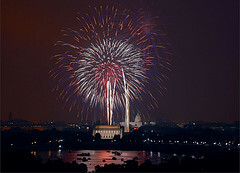 I wanted to wish my readers a Happy Independence Day to those in the U.S.! And a happy Tuesday to readers elsewhere! Later our family will celebrate with friends and family and a few fireworks for the kids. We will enjoy potato salad, ‘pink stuff’, baked beans, burgers, hot dogs, watermelon and ice cream. Enjoy whatever activities you have planned for the day, count your blessings and be safe!